1st December is Prisoners for Peace Day. 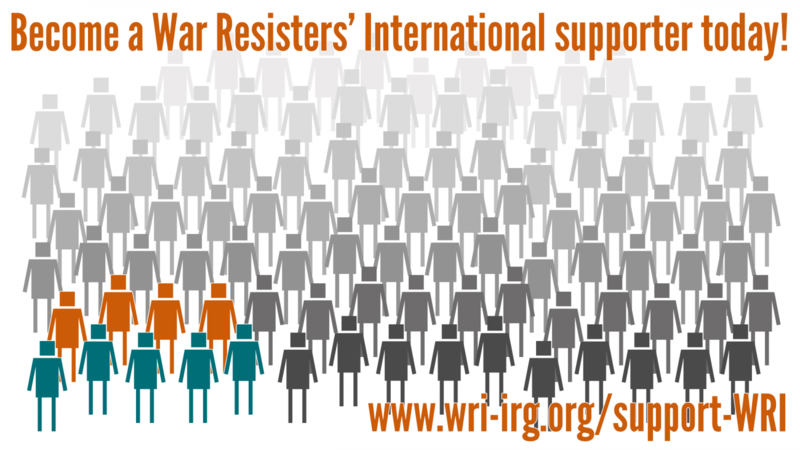 For over 60 years, War Resisters' International have, on this day, made known the names and stories of those imprisoned because of their actions for peace. Many are conscientious objectors, in gaol for refusing to join the military. Others have taken nonviolent actions to disrupt preparation for war. This day is a chance for you to demonstrate your support for those individuals and their movements, by writing to those whose freedom has been taken away from them because of their work for peace. WRI has a permanent Prisoners for Peace list, which we make a special effort to update for Prisoners for Peace Day on December 1st. We're coming up to Prisoners for Peace day, held on 1st December. For over sixty years on this day we've been sharing stories and contacts details of those imprisoned for their work for peace, including conscientious objectors.